Problem. 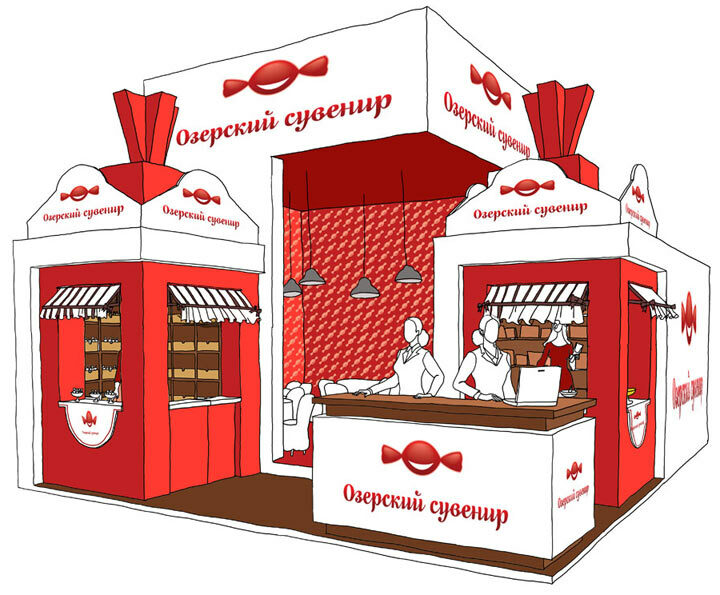 Design a stand for Prodexpo 2008 exhibition. 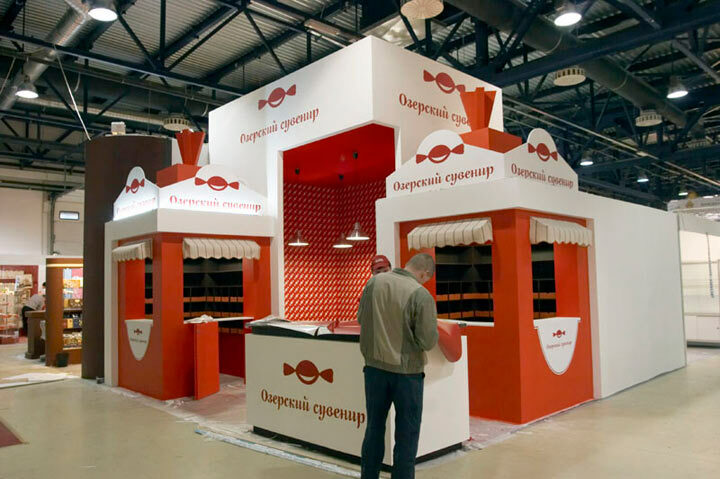 Ozersky Souvenir exhibition stand uses the company logo and other elements of the corporate identity we developed for this confectionery producer. 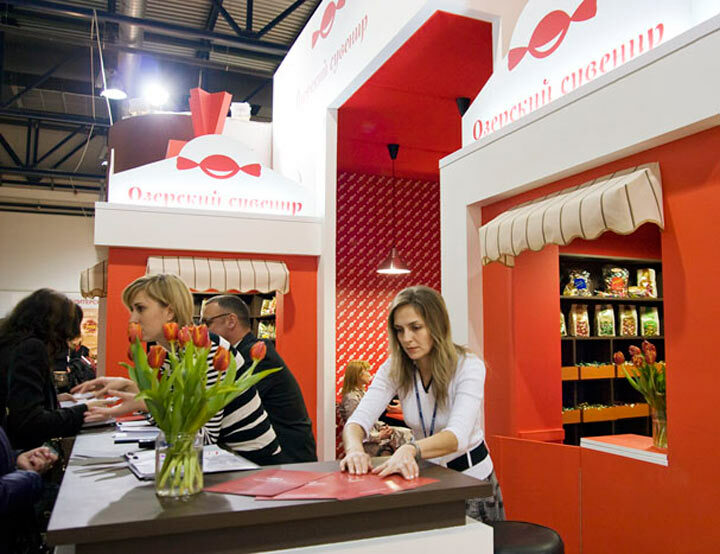 The stand is designed as an open booth with side stalls decorated with marquees that look like open candy boxes.